Fibromyalgia Tender Points - Helping the Homebound Elderly Manage Their Pain and Disability Naturally. not sweet 16. painful 18. 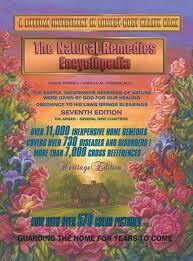 Causes, Symptoms and Natural Remedies for $5! Fibromyalgia, weakness and depression seem to go hand in hand. Is that you? You want to live life to the fullest but you can hardly move and when you do, you suffer for days, maybe weeks! If you've come to the end of your rope, consider myofascial release therapy. It is vastly different than tradition physical therapy and proven very effective in not only resolving your physical pain but helping your entire body to come back into balance and harmony. You benefit by simply beginning to smile again, laugh again, dance again and live life again! Imagine the possibilities! This Dis-ease seems to accurately target and rampage the lives of caregivers, dealing with the stresses of dealing with older parents at home and often raising children at the same time. In his book, The Making of An Elder Culture , Theodore Roszak writes : "For it is women-daughters or daughters-in-law-far more than men who are suffering the pressure of home-based caregiving. While caregivers come in many shapes and sizes, their gender is all but uniform" (p.99-100). It is also true that the majority of people who suffer from fibromyalgia are women. Combining these two (caregiving and fibromyalgia) often results in a situation which is painful and brings about social, physical and psychological crises for the caregiver as well as the recipient of care. While there are many male caregivers diligently caring for aging parents as well, the care that men and women give is vastly different - trending the higher incidence of fibromyalgia in female caregivers than male. While men offer practical care, women, as emotional beings, tend to throw their entire emotional support along with the practical support. Debatable, I know, and not 100% across the board, cut and dried, black and white. Male or female, we know what it is like to add the demands of caregiving to our own overwhelming pain and fatigue. Over-caring brings a high cost and must be balanced with boundaries and self care. Coping With Your Difficult Older Parent Is an excellent resource for stressed out children with almost 200 pages full of real life situations including information about disorders and theory's. Life with fibromyalgia seems marked with chaos and a life that is out of control. Sufferer's don't know where to go, what to change or where to start making those changes. A turmoil of storms seems never ending in the mind and heart of those who battle this energy consuming, joy destroying dis-ease. Fibromyalgia tender points generally involve 18 most common areas of increased pain verified through various studies over a long period of time. These points can help doctors in making the correct diagnosis as fibromyalgia sufferers consistently have pain in many of these areas. 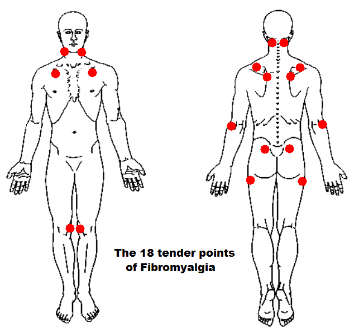 To be diagnosed with fibromyalgia, you need to experience 11 of the 18 tender points pictured below. Although these fibromyalgia tender points can vary slightly from chart to chart, they tend to be most prominent where muscles come together in groups. Knowledge is power, and in the case of fibromyalgia, hope for everyone struggling with this disorder. It is important to remember, however that having pain in a few spots in this chart or even one or two does not mean you have fibromyalgia. For example, shoulder pain can be a symptom of other problems such as rotator cuff injury or arthritis. Pain on the outside of the elbow could be tennis elbow or pain from a referring trigger point. A physician can help you diagnosis any conditions you may have and answer your questions about fibromyalgia. or get this wonderful, money saving, life saving resource now! It's $135 and FREE SHIPPING plus you get 7 bonuses!! You'll also be supporting the continued labor of love for this website and our decision to adopt! Thank you!